If there’s one article we never thought we’d get the chance to write this year, it’s this one. Throughout the long, punishing slog that was The Great Winter of 2017–2018, many of us questioned whether we’d ever experience bright blue skies, radiant suns and warm weather again. Yet here we are at last. Summer has finally arrived, bringing with it scorching temperatures and more than enough long, sunny days to make up for the terrible winter we’ve all just been through. Sure, that might be great for getting your tan on or claiming every man’s natural birthright as Lord and Master of the Barbeque, but when it comes to working hard on site, the summer heat can have its downsides. 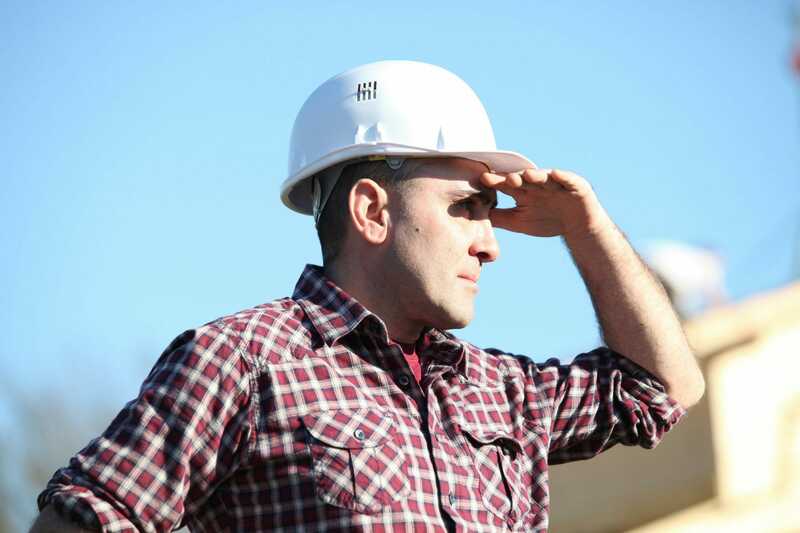 Here, we offer our top tips to help you beat the heat and stay safe on site this summer. It goes without saying that getting to work outdoors in the summer months is far better than being stuck in some stuffy office. It’s certainly a million miles better than all those times you risked frostbite throughout the winter, but that doesn’t mean it doesn’t come without risks of its own. Usually, our bodies react to heat by increasing the blood flow to the surface of our skin and by sweating, which naturally cools us down. However, when we carry out labour-intensive tasks in hot weather (particularly if wear protective clothing which adds to the heat), it’s easy for our body temperature to rise higher than the level that can be controlled with sweating. This can cause what’s commonly known as heat illness, which can be anything from simple heat rash or muscle cramps, all the way to dizziness, fainting, and heat stroke. During the memorable heat wave of 2013, as many as 760 deaths were linked to heat stroke, so clearly this isn’t something any of us can afford to take lightly. Fortunately, there is plenty we can do to keep heat illness at bay over the next couple of months. Though it may sound obvious to some, there’s no better way to beat the heat this summer than by having plenty of bottled water to hand. All that sweating we do to keep us cool means we lose valuable water and salts, leaving us dehydrated. This is what causes us to feel sick or faint. Keep a fresh supply of cool water close by and drink from it regularly, not just when thirsty. This is the easiest and most effective way to stay hydrated and stave off many of the common symptoms of heat illness. It does need to be water too, not caffeine-based drinks like coffee or energy drinks. Caffeine is a diuretic, which basically means it makes us need to pee more often than normal. This too can make us dehydrated, negating the whole purpose of drinking it in the first place. Smoking can also increase dehydration, particularly in hot weather, so if you were ever tempted to break that particular habit, what better time than now? One of the best things about summer is that it gives us many more daylight hours to play with. You may find it helpful to take advantage of this, rescheduling your start time to earlier in the morning when temperatures are at their lowest in order to avoid working during the hottest parts of the day. As an added bonus, starting early means you get to clock off early too, giving you more time actually make the most of your summer. If the project you’re working on involves both indoor and outdoor tasks, you’ll find it helpful to schedule the outdoor tasks for early mornings so that you can head inside where it’s cooler when the weather really heats up. If you’re outdoors most of the time, be sure to schedule regular breaks in shaded areas to cool down and avoid the effects of overheating. Stop snickering – we’re talking about sun cream, obviously. Keep a plentiful supply to hand and apply before you start work and again at lunch, or whenever you feel necessary. Wearing thin, long-sleeved clothing, baseball hats and similar garments will also help protect you from direct sunlight. 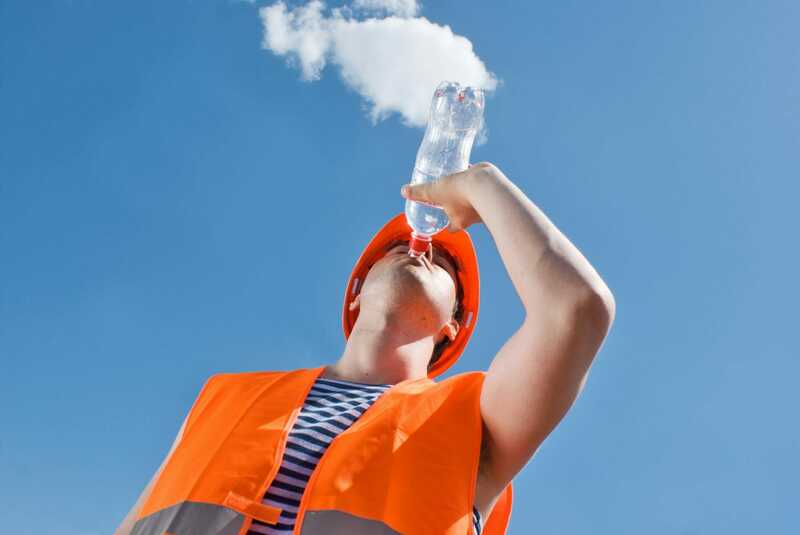 One of the biggest effects of the hot weather is that it makes us tired and zaps all our energy, which isn’t something we can afford if we’re working with machinery or carrying out a job for which safety is of paramount importance. With that in mind, devouring a big junk food lunch is the last thing you need, as this will take longer to digest, draining your energy even further. Fill up on a bigger breakfast before you start your day and keep lunch light so that you can stay energised, alert, and healthy all summer long. How do you beat the heat when working outdoors in the summer months? Share your top tips with us on Facebook and Twitter, or get in touch in the comments below.